He was on a break, guys! It must be the holiday armadillo! It's been 14 years since 'Friends' - which, by the way, is the best TV series ever! - went off air and its cast members have moved on to do other things. 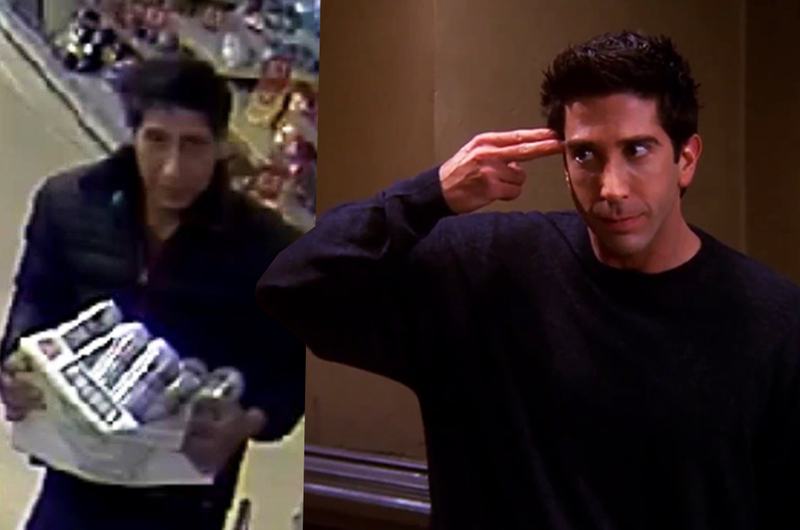 If you've been wondering what they have been up to, well, Ross Geller was recently caught on a security camera shoplifting. The lovable but sometimes annoying character was played by US actor David Schwimmer. So when police in Blackpool, a small town in England, posted a picture on their Facebook page on Tuesday asking for help identifying a shoplifting suspect, fans of the sitcom had a field day - because the man looks exactly like Ross Geller! According to the police, the suspect was seen in a CCTV recording leaving a restaurant while carrying what appeared to be a crate of cans after the alleged theft on 20 September. The post quickly gained traction online after fans of the sitcom managed to figure out who did it: it was Ross Geller! The suspect is still at large at the moment and civilians are urged to be careful because the suspect is said to have achieved Unagi, a state of total awareness in which he can be prepared for any danger.